This is a pretty wild case: A shifty cryptocurrency startup which used a stock photo of Hollywood actor Ryan Gosling for the headshot of their lead graphic designer has managed to raise almost a million in an initial coin offering (ICO). 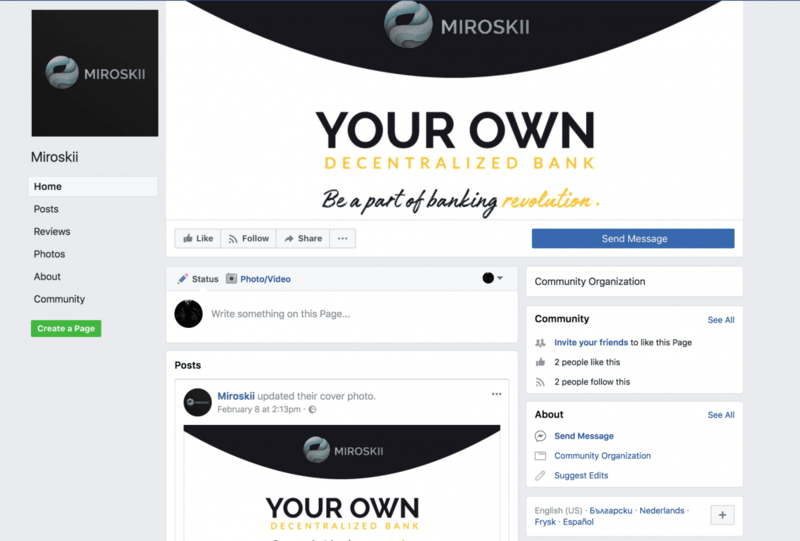 Miroskii – as the company is called – has since attracted the attention of Reddit with its crafty marketing shenanigans. But things actually get worse: as pointed out by numerous users on Reddit and Twitter, it appears that the shady cryptocurrency startup used ripped images for pretty much all of its team members. But unlike the fake Gosling – who goes by the name Kevin Belanger according to Miroskii – the rest of stolen photos featured no celebrities. CNET has since dug up more evidence showing that pretty much every photo which appears on Miroskii has been snatched from real people (with different names) who have nothing to do with blockchain or cryptocurrency. But if this wasn’t enough, there are even more red flags. “Its time to be a part of the Crypto Revolution,” it concludes. The typo is theirs, for what is worth. But here is the most shocking part: this fraudulent effort has raked in more than $830,000 from over 380 naive investors. While scam campaigns are nothing unusual in the blockchain and cryptocurrency space, it is puzzling that such a poorly put together swindle can bring in close to a million dollars. 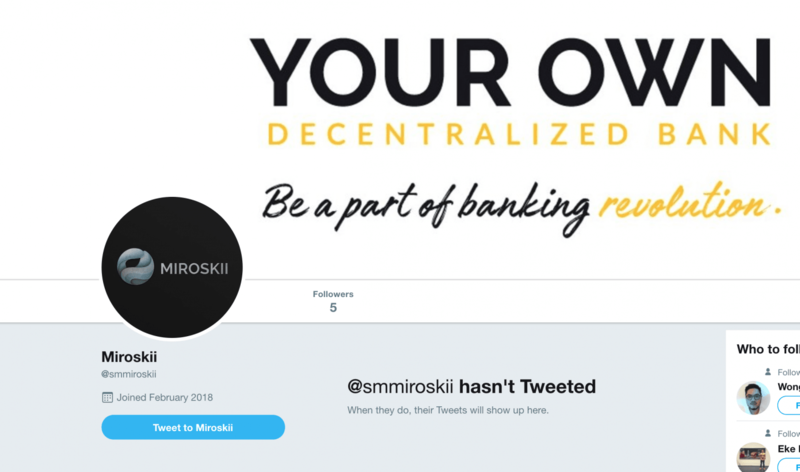 For the record, other than its half-assed website and still upcoming white paper, Miroskii has a total of seven followers on all of its social media accounts combined: that is Twitter, Facebook, and Instagram. 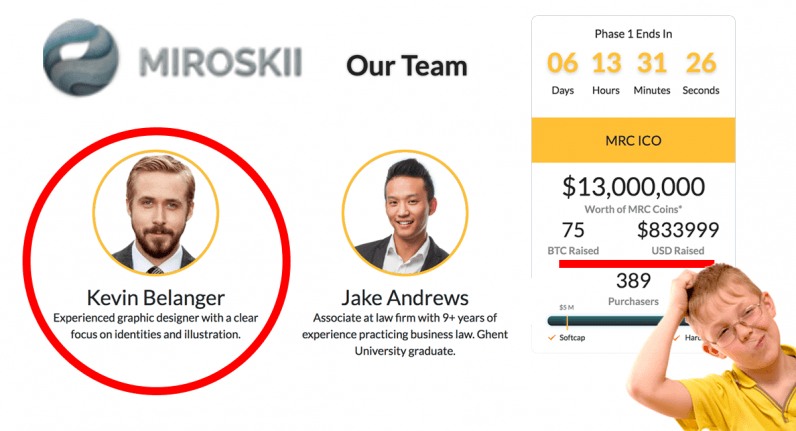 It remains unclear whether the investment data displayed on the Miroskii page is indeed authentic, but it might very well be. A quick Google lookup reveals the company ran a small PR campaign, ultimately securing a paid press release deal with cryptocurrency-oriented outlet NewsBTC. So it is not entirely out of the realm of possibility that Miroskii has somehow managed to attract real investors. Think twice before you blow your pocket empty on Miroskii – it might not be all it purports to be. There have been a number of botched cryptocurrency initiatives to abruptly vanish into thin air after running an ICO: Miroskii manifests a concerning number of the same symptoms. Don’t be too surprized if it’s the next one to pull a Houdini. Clarification: The fake Gosling was first spotted by @CryptoShillNye.